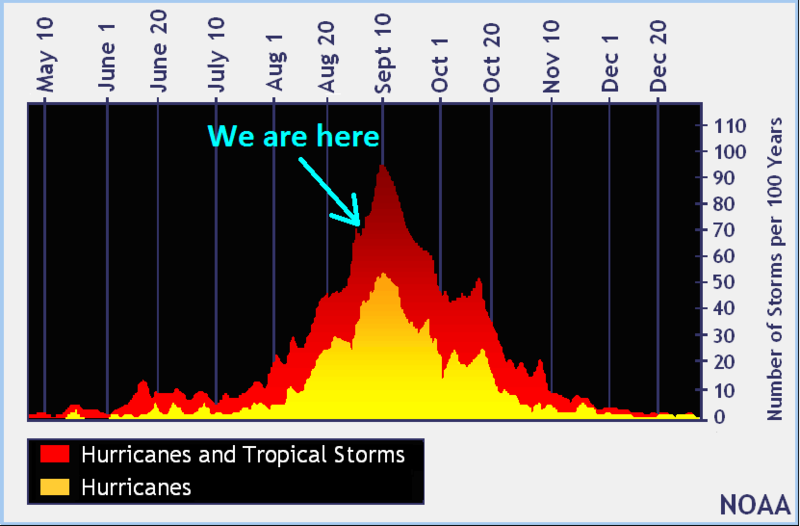 As we head into the last half of August, we typically begin to see the Atlantic basin become more active along the ITCZ (Intertropical Convergence Zone) and other areas such as the Caribbean and Gulf of Mexico. Right now there are 3 areas being monitored as activity has ramped up the last several days. 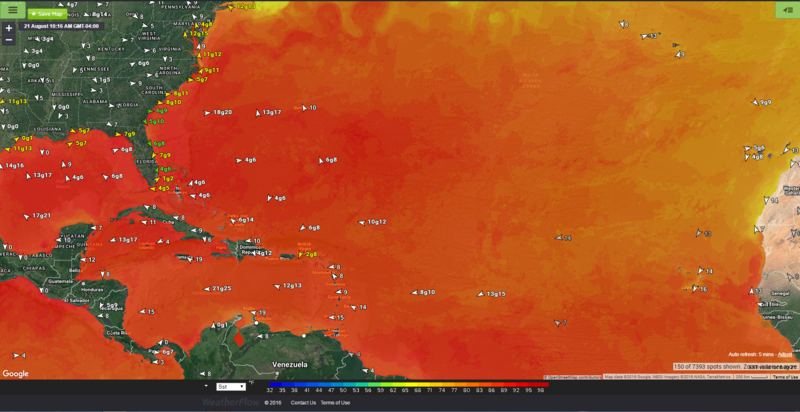 Sea Surface Temperatures are very much in support of tropical cyclone activity for surface fuel, but it takes a conducive atmospheric environment to allow for development and strengthening. Here is the Saharan Air Layer showing persistent dry desert dust in the mid layers of the atmosphere at ~18,000ft up. It fluctuates up and down in intensity, so a higher amount of precipitable water within a system is required to overcome the dry air ingestion until systems break free of the “SAL” further west. This is one of the reasons many tropical cyclones are unable to form – more or less a protector for us. 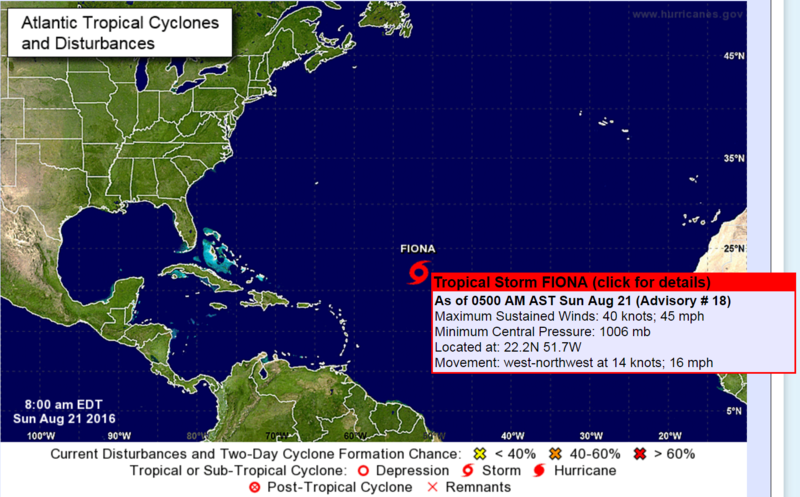 Tropical Storm Fiona currently holds 45mph winds, pressure at 1012mb, movement to the WNW 16mph. Hanging on after strengthening just a tad from 40mph to 45mph prior to encountering dry air again and now upper shear. Current upper shear is tearing the cloud tops off from W to E, so further strengthening is not favored today. Future tracks suggest it eventually moving NW and eventually N as a depression. Invest 99L looking disorganized right now, but at a 20% chance next 48hrs and 50% chance next 5 days…not looking very impressive right now with dry air ingestion, but is moving into an area more conducive for development next few days as it drifts W towards the Leeward Islands. 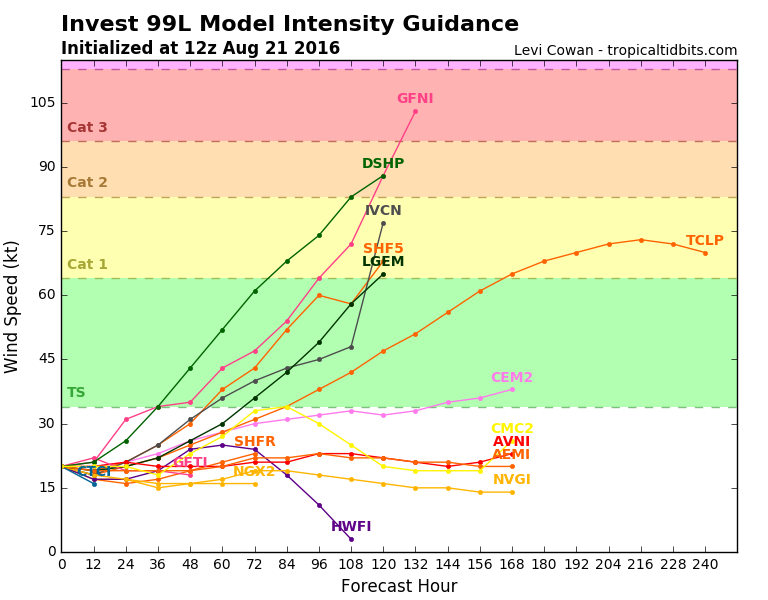 Expectations for strengthening are split right now, with slow development next few days. 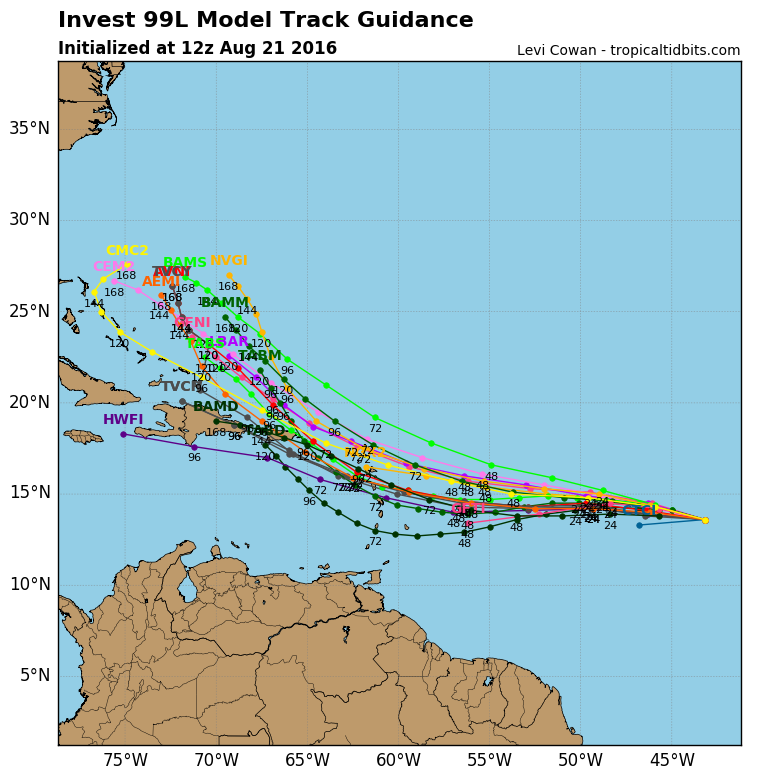 It’s future track brings it slowly W then WNW as it drifts into the Caribbean. 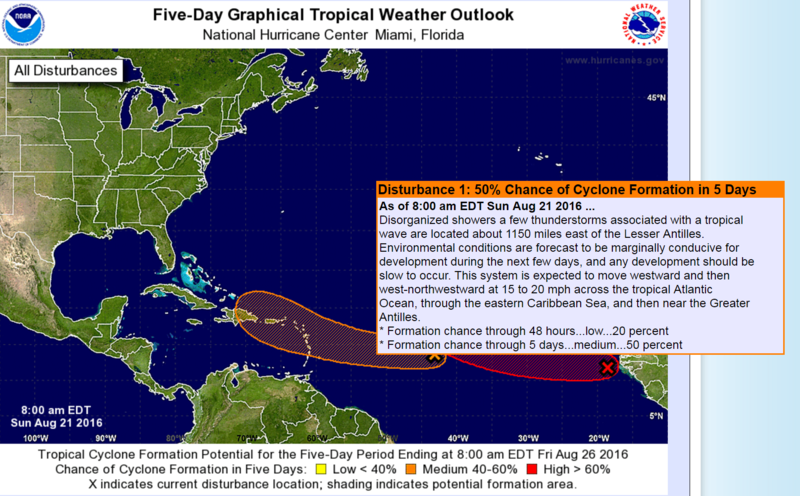 Currently no threat to the US Coast, but the Caribbean islands should monitor for upcoming tropical conditions. 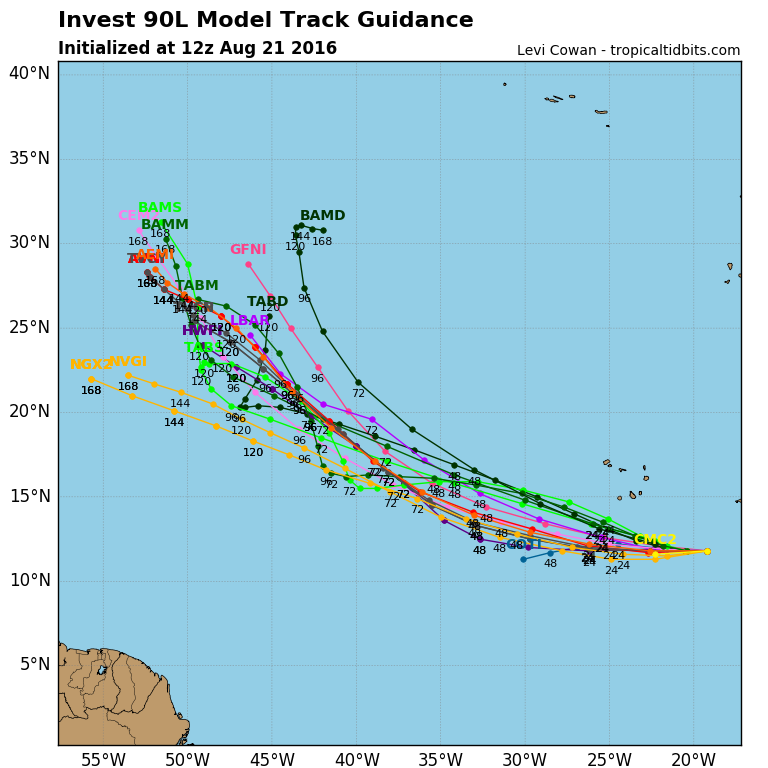 New Invest 90L is at a 70/90% chance and is looking impressive already just after moving off the African coast. Expectations are this system to become a strong TS or hurricane, but move NW and curve N over time. 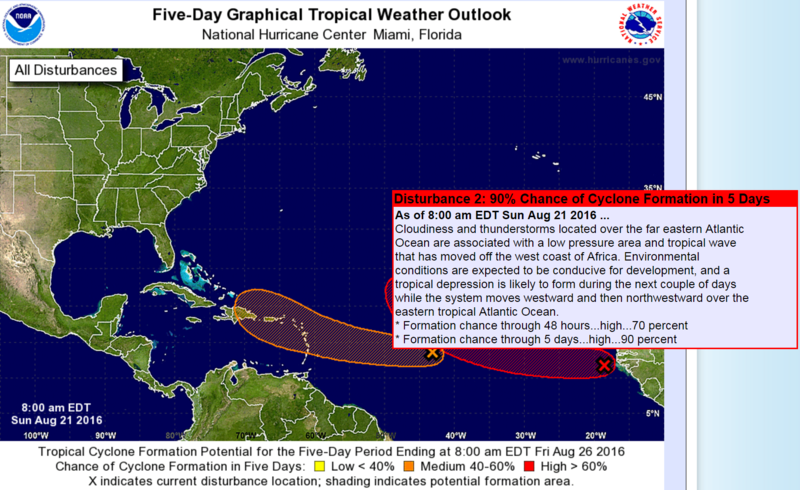 Overall outlook: No threat to the US for now, but we will continue to monitor the tropics for any systems that require additional awareness. 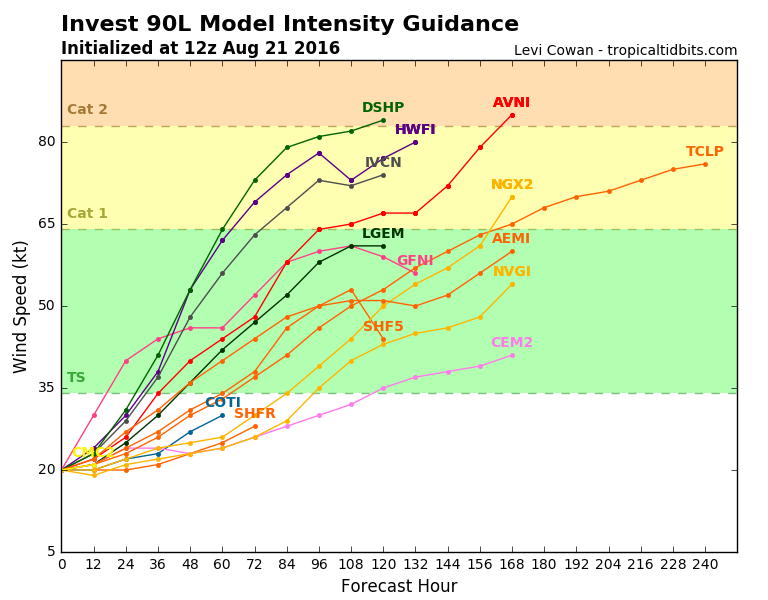 And of course as I write this blog, the new NHC update is coming out (every 3 hours with active patterns), so keep a watchful eye as we head into the most active part of the season. Reminder…if you live along the coast, always have an evacuation plan in mind. ‹ Unique Sunbeams Catching Some Attention along the SC Coast.